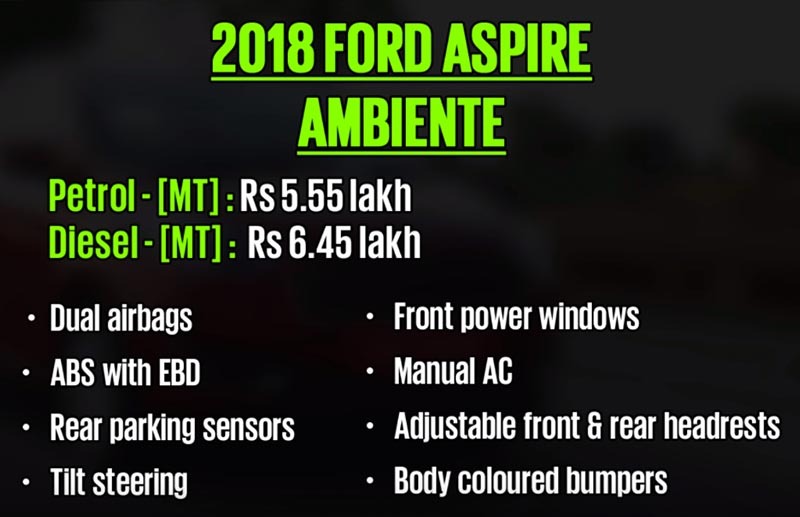 The Ford Aspire has gotten a minor refresh, but along with the cosmetic changes it gets all New Engines, New gearboxes, More Equipment and more importantly it comes with a killer price tag. 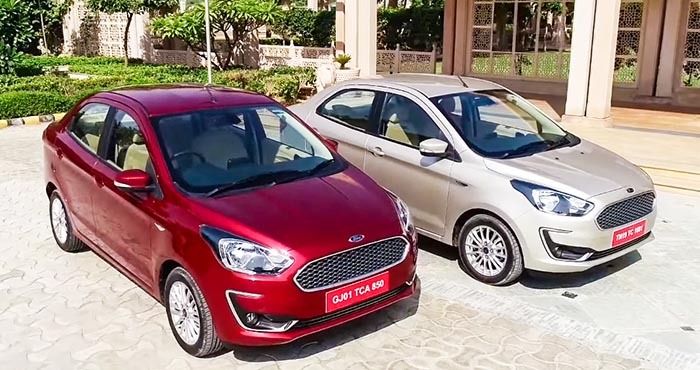 Now, if the Ford Aspire facelift is on your shortlist, well then we’ll help you pick the right variant. 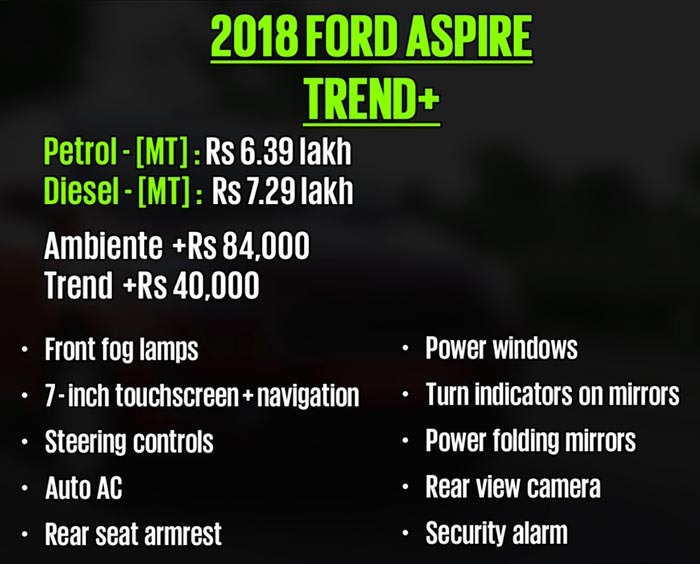 The Ford Aspire gets an all new 1.2-Liter Petrol that generates 96 HP with a 5-Speed Manual Transmission. While this engine is better than before, it’s still not the segment best in terms of Performance or Efficiency. 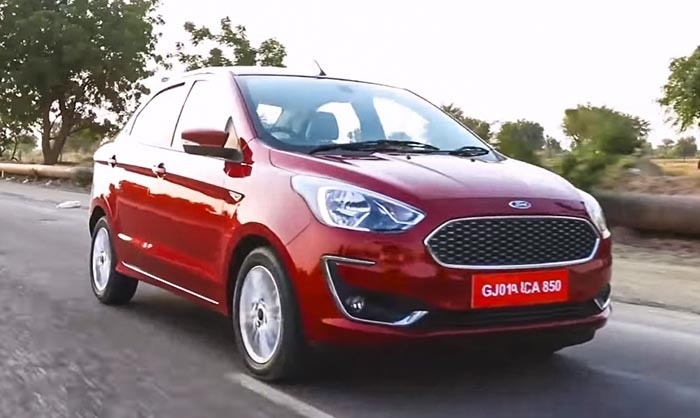 Then there’s a 1.5-Liter Petrol that generates 123 HP with a 6-Speed Automatic Transmission. 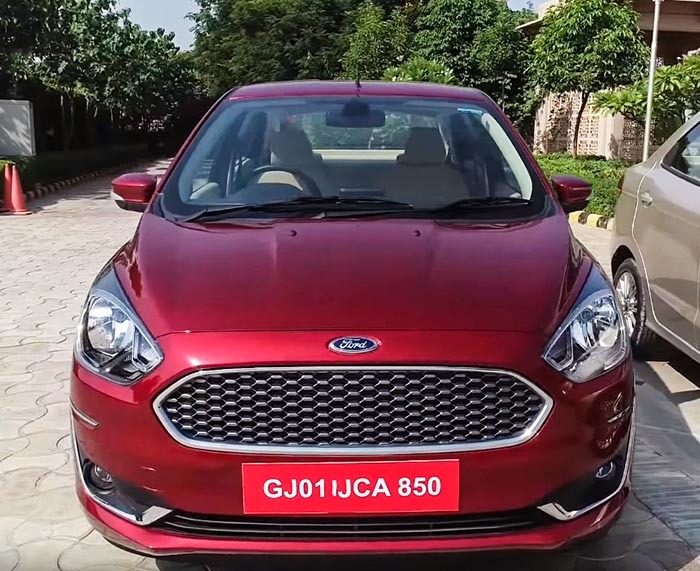 However if your usage is most highway driving or if you simply love driving, then the 100 HP 1.5-Liter Diesel is the one to go for, irrespective of your monthly usage. And, it is Rs 90,000 more expensive than Petrol, but it is high in performance and high in efficiency making it the best pick in the range. 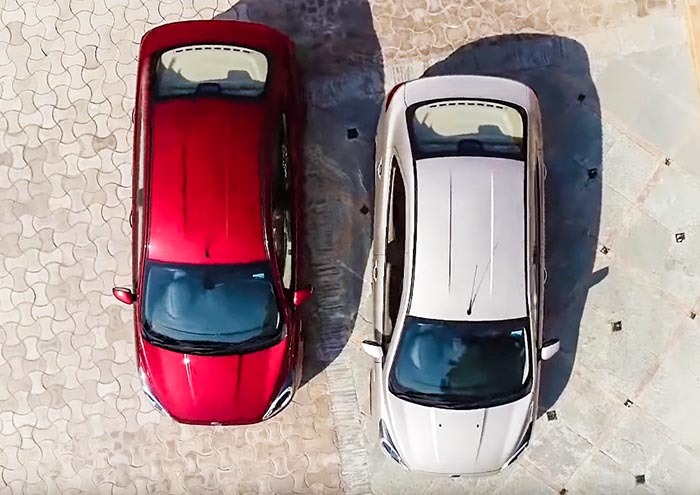 The base Ambient variant comes equipped with dual-airbags, rear parking sensors and ABS with EBD. But the variant that we recommend is the Trend+. It is Rs 84,000 more than the base and Rs. 40,000 more than the Trend, but it is fully loaded with features like Climate-control, Front fog lamps, a 7-inch touchscreen infotainment system with navigation and a reversing camera. On the other hand, if you want a fully loaded variant, you should definitely get the Titanium+. 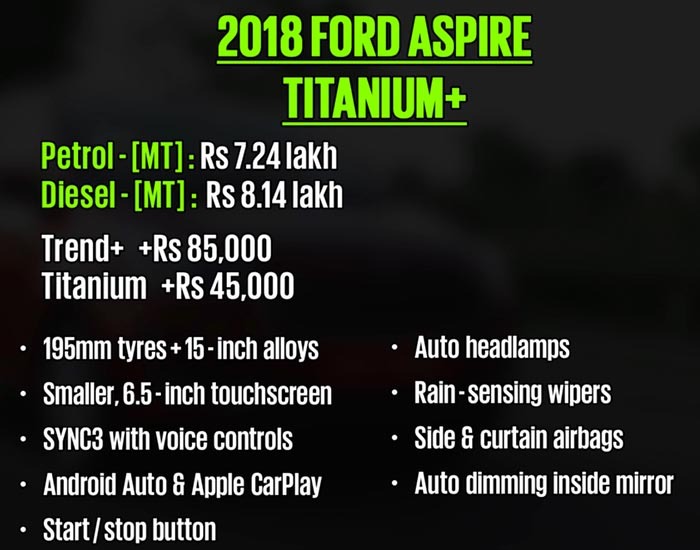 Not only does it get 15-inch alloy wheels with 195 mm tyres, Engine Start-stop button and height adjustable driver seat from the Titanium variant, it also gets Android-Auto, Apple CarPlay and Auto-Dimming inside mirror, Automatic Headlamps, Rain Sensing wipers and more importantly the side and curtain airbags. To summarize that, if you’re looking for a Fun-to-Drive and a compact sedan, the Ford Aspire still gets the vote. 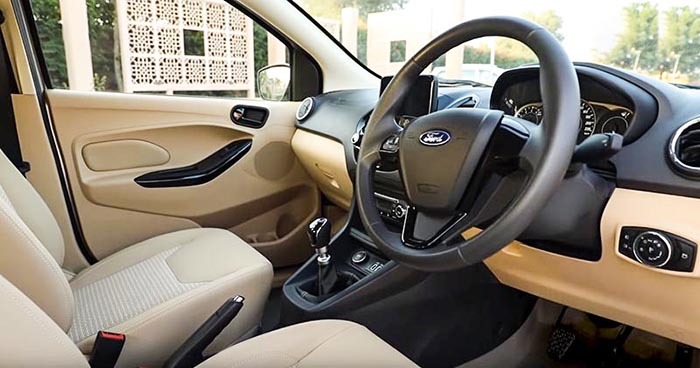 It comes with a Sporty Steering wheel, sorted Ride and Handling balance and it’s the only kind of segment which comes with six airbags as an option. 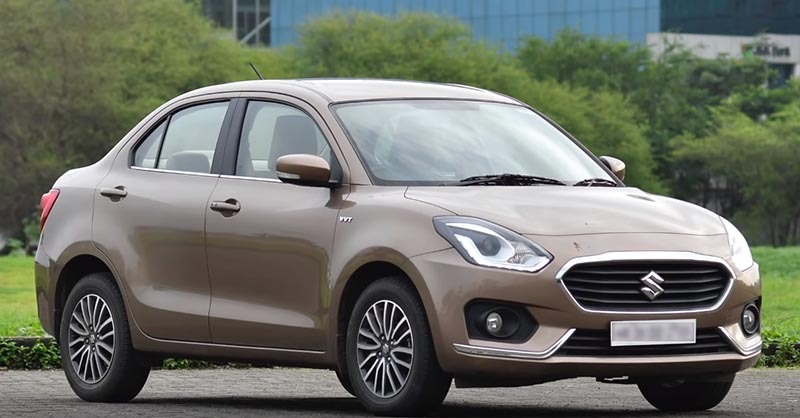 Now despite the long equipment list, the Aspire is substantially cheaper than the Maruti Suzuki Dzire and the Honda Amaze, making it a Great Value Buy.